You can’t make this stuff up. It’s another busy night in the ER, and back-to-back patients come in, not related but dealing with the same issue. One’s a child bitten over the eye by a family dog with no shots. The next is a teenager attacked by a possum, which he decided to kick in the mouth, and of course he ends up being bitten. Both of these situations hold a certain risk of rabies exposure. Rabies is a viral disease transmitted to humans through the bite (or scratch) of an infected animal. It infects the central nervous system, initially producing a multitude of symptoms that resemble the flu (fatigue, headaches, fever, malaise) and then progressing to exotic symptoms (including fear of water, increase in saliva, hallucinations, confusion and partial paralysis) culminating in death within days. 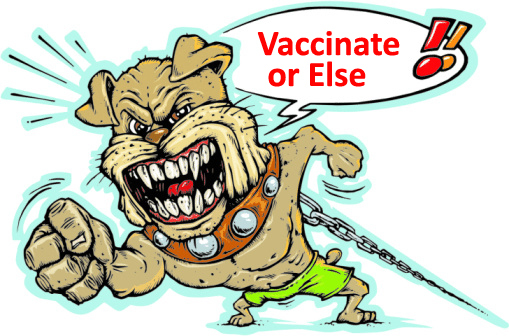 There is no cure for rabies once symptoms appear, so prevention is critical. 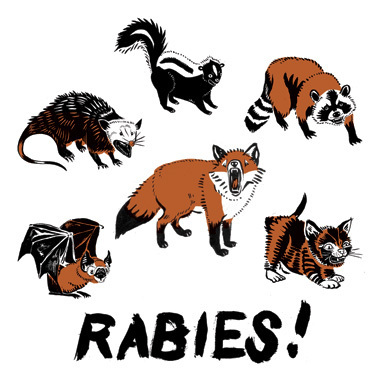 Animals that are especially likely to transmit rabies include bats (the most common culprit in the U.S.), foxes, raccoons, skunks and most other carnivores. Bites from these animals are regarded as rabid unless proven otherwise by lab tests. These animals must be killed and tested as soon as possible. Animals that have been reported to transmit rabies also include dogs, cats and ferrets. If bitten from one of these animals, and it appears rabid, treatment must begin immediately. If the biting animal appears healthy and can be observed for 10 days, then do so, but the animal must be euthanized at the first sign of rabies. Others bites in which rabies should be considered include those from rodents (woodchucks, beavers and smaller rodents), rabbits and hares; these almost never require post-exposure prophylaxis unless the area is a high rabies exposure area. In these instances decisions will be made in consultation with local public health officials. So what should you do if bitten? Remember, there will be no immediate symptoms, so you can’t trust that you’re ok just because you’re feeling ok.
Make every effort to secure the animal. Even if the animal isn’t available, go to the nearest emergency room as soon as possible after contact with a suspect animal. Assessment for and possible administration of two different types of vaccinations. These regimens can prevent the onset of rabies in virtually 100% of cases, one of which needs to be administered in five separate doses over a month’s time. Remember, rabies is a fatal disease. It is meant to be avoided, but if you can’t avoid it, you need to get assessed as rapidly as possible. I hope this information helps you make correct decisions if you’re ever confronted with a rabies prone animal, and for goodness’ sake, please get any house pets all appropriate vaccines.